CT Racing has been worked overtime on the Polaris 525 Outlaw quads. We have been done motor work for the factory backed desert team, Hancock Racing, as well as Quad Magazine’s Nick Nelson. Nick is raced both the 525 independent and solid axle models and we have done a significant amount of testing on both. CT’s owner Allen Knowles, has also raced a Polaris backed entry at two GNCC rounds and one WORCS Series round for R&D. We now offer pipes for both the 525 and 450.Our 450 pipe program is now complete, and the most powerful pipe on the market for the Polaris machines. The CT pipe kit produces just over 48 rear wheel horsepower out of the 450. The pipe will be shipped with a jet kit including main jets, pilot jet, and a titanium needle. The pipe is shipped with 14 discs as that is what we found produces the most horsepower on the 450. We are running a modified air box lid (significantly opened up) and stock filter to produce this horsepower.We have a very good engine program for both the KTM 450 and 525 motors. We have done many of the KTM 520 and 525 two wheel motors and have been worked for years with Ed Teixeira and his Honda chassis KTM powered 525 desert racer.We also have a lot of information for setting up the chassis. So if you have questions or need help, feel free to call us. Outlaw 450/525 Motor Package…..$1395.00 Kit includes: CNC porting of your cylinder head, CNC Radius 5 angle valve job for +1mm over size valves, Set of new +1mm Valves, Performance Lightweight Valve Spring Kit with Titanium, Retainers Performance Camshaft, Diamond Honing your cylinder and fitting a JE Hi Compression racing piston, Complete Top End Gasket kit, Jet Set, Disassembly clean and prep head and assemble head, shipping in a ready to bolt on fashion. 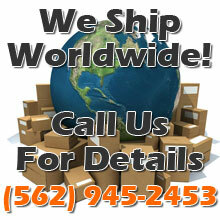 Just ship us your complete top end including cylinder and head. CT Racing has a lot of experience coaxing HP out of the KTM RFS motor. We built the motors for some of the Factory Polaris team efforts, competing in the Score and Best in the Desert Series. We worked with Teixeira Techs owner ED Teixeira, building his Best in the Desert motors going into a completely hand built quad even before there were production KTM powered quads. In 2007 CT Racing owner was Coaxed out of racing retirement to compete in a Polaris Factory sponsored racing effort, Works and GNCC races. The experience we have leads to very fast, reliable motor packages. Our massive amount of Flow Bench testing and Dyno Development has led us to develop a CNC port Spec for the KTM head that is second to none. Combine our CNC porting with a CNC 5 angle radius valve job for unmatched performance. This kit works equally well for both the 450 and 525 motors. This Kit even offers a jet set making it a plug and play set up. PLEASE NOTE: Your head is returned assembled and ready to bolt on and run. This kit price is for you shipping us your top-end only. If you would like to ship us your complete motor, add $250.00 for R&R of top-end. Fly Aero Taper 1-1/8″ Fat Bars with Bar Pad – Bars are available in black, gun metal, or silver. Please Note: 1-1/8″ bar mount kit is required. Fly Universal 1-1/8″ Handlebar Mount Kit – This is a clamp set than converts your stock 7/8″ bar clamp to the 1-1/8″ Fat Bar set up. Can be used with any brand 1-1/8″ bars.